PHC's temperature control system, with microprocessor, reliably maintains temperature at the set level and is unaffected by outside ambient temperature. Audible and flashing LED visual alarms alert you to the unlikely event of either a high or low temperature condition. 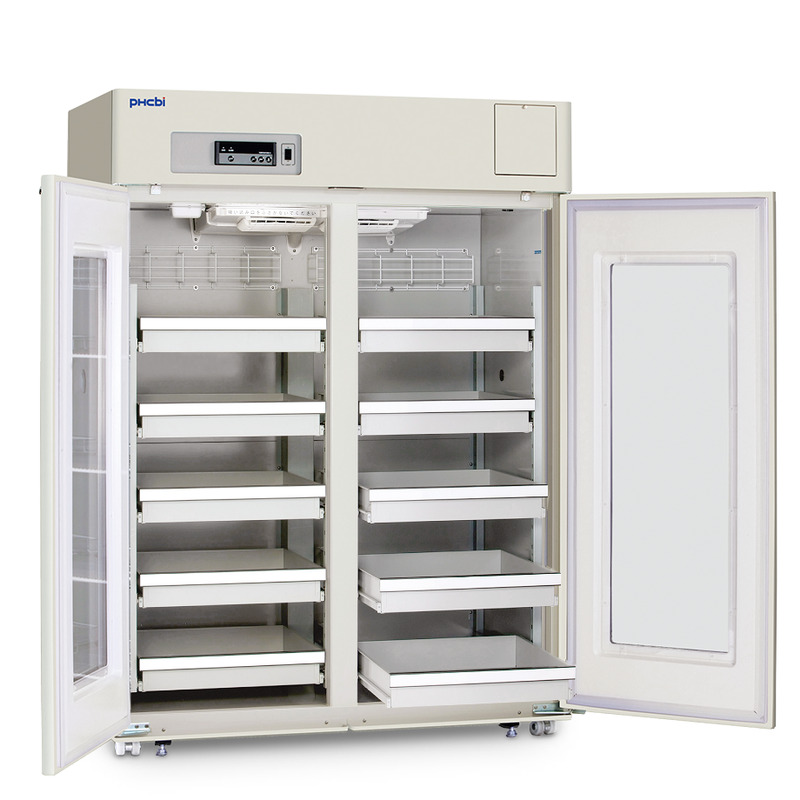 This CDC compliant lab refrigerator comes with adjustable shelves and a wide setpoint range for varying laboratory applications, including chromatography and pharmaceutical storage. 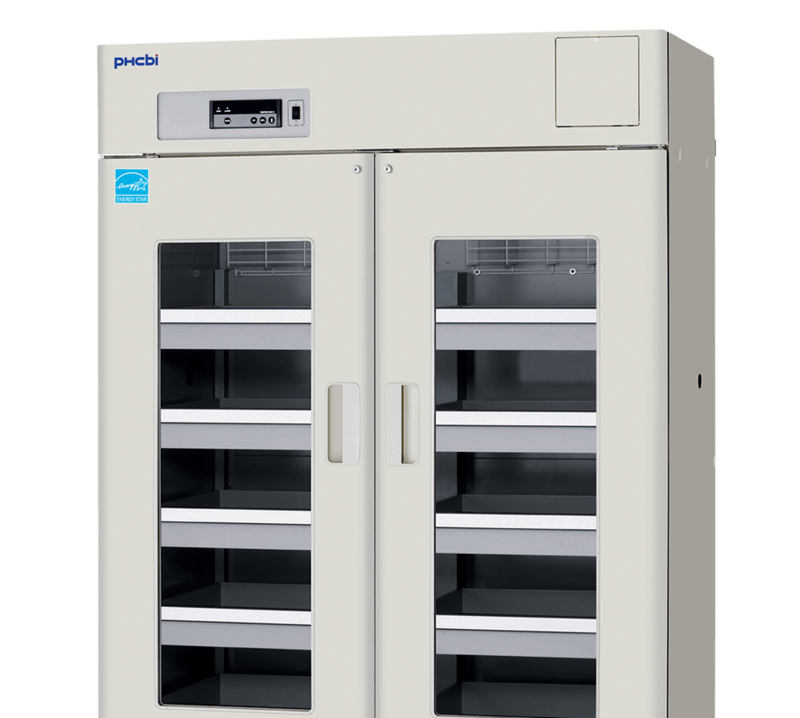 The interior layout flexibility is ideal for running experiments that require changeable shelf configurations. The shelves can be arranged to accommodate tall apparatuses, such as fraction collectors, and are deep and strong enough to hold most devices. The "R" model is fitted with stainless steel pull out drawers. These drawers are deep enough to hold large bottles of reagent kits. They also allow convenient, space efficient storage and management of patient medications and other items. 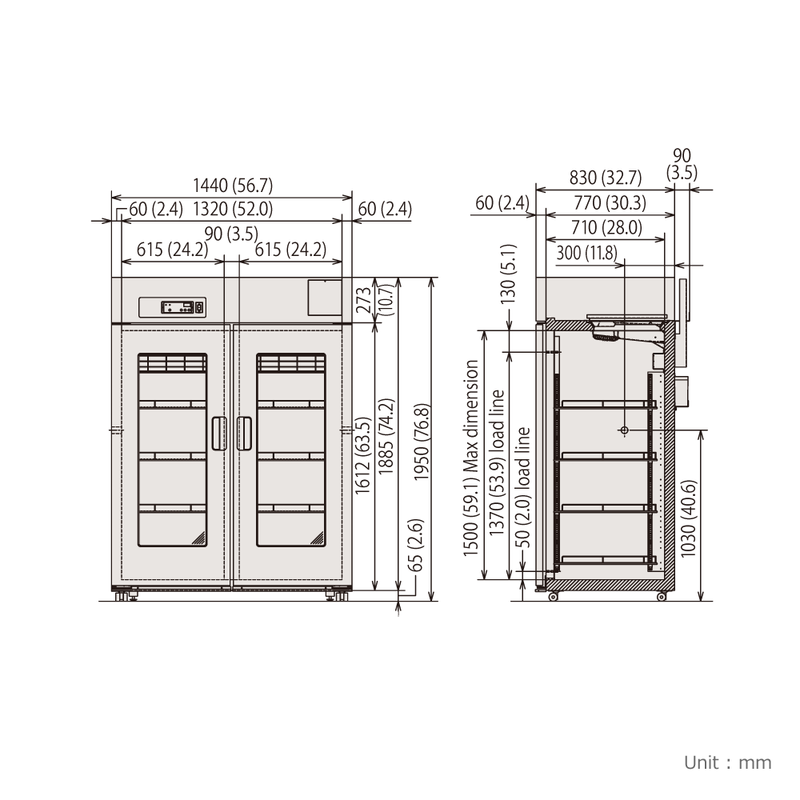 The MPR-1411R-PA is a large capacity laboratory refrigerator which offers a stable and reliable environment for carrying out clinical, pharmaceutical and industrial research at uniform temperatures. 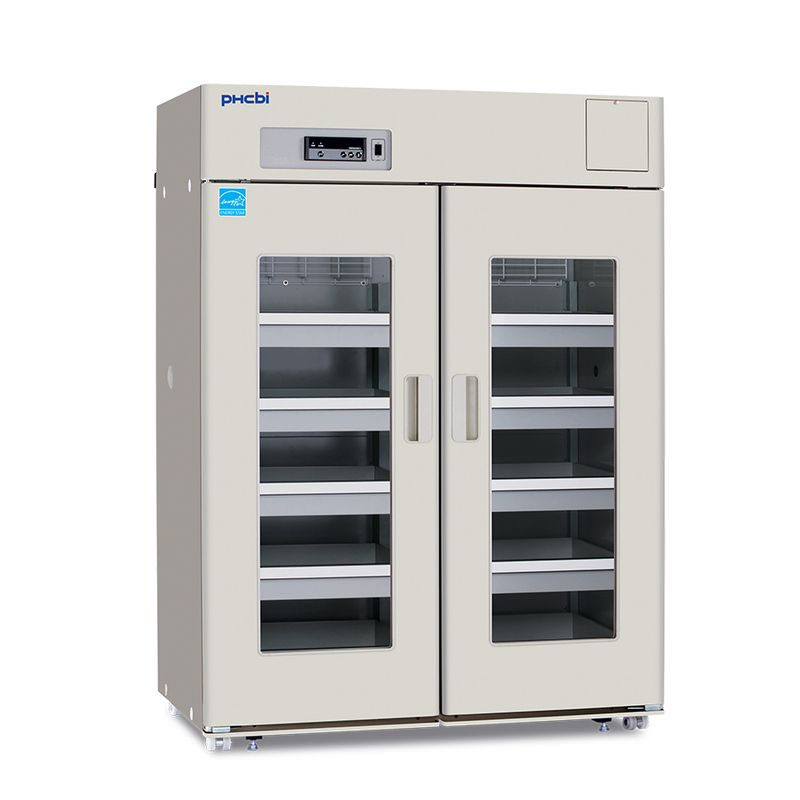 A user-friendly design and flexible temperature allows for application in various laboratory procedures including chromatography and pharmaceutical storage.